del monte indiblogger recipe Del Monte Biscuit Toppings! Today I have decided to remove my thinking and story writing cap and wear the chef's cap. Del Monte along with Indiblogger has transformed the Solitary writer in me into Chef Gusteau.Chef Gusteau of Ratatouille movie had already mentioned in his book that "Anyone can Cook!" .Infact thats the name of his book which a mouse reads and eventually transforms into a chef and creates a master recipe. Forget the mouse. Today I am going to take you to my other world where I shall create a recipe which is too easy to make.It is a perfect delight. To Prepare this Recipe, we require. 1. First of all , we need to chop the capsicums finely into small pieces.Cut it as per your requirement. 2. Take an empty bowl . 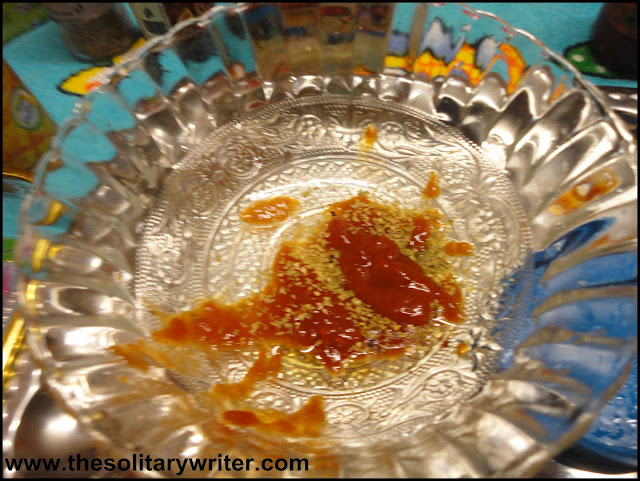 Add Tomato Ketchup in it. Add few quantity(a pinch) of Chilli Flakes and Oregano and mix it accordingly. 3. 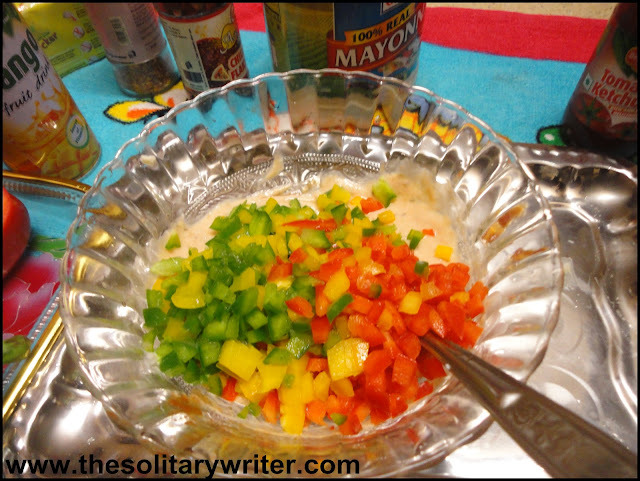 Now add 3 spoons of Mayonnaise to the mixture along with 1 tbsp of Del Monte Olive oil. 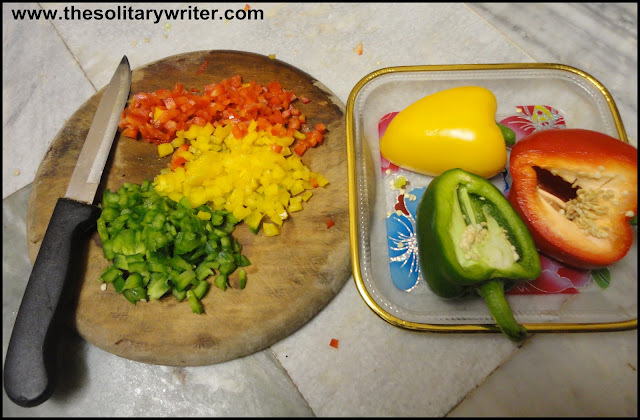 4.Add the finely chopped Green Capsicum to the mixture.Subsequently add the Yellow and the Red Capsicums on it in equal proportion and mix it. 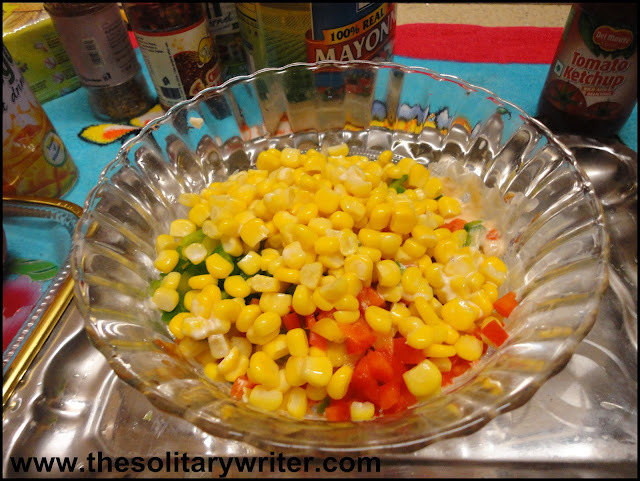 5.Now add the Del Monte Corns to the mixture and firmly mix it along with the other ingredients. 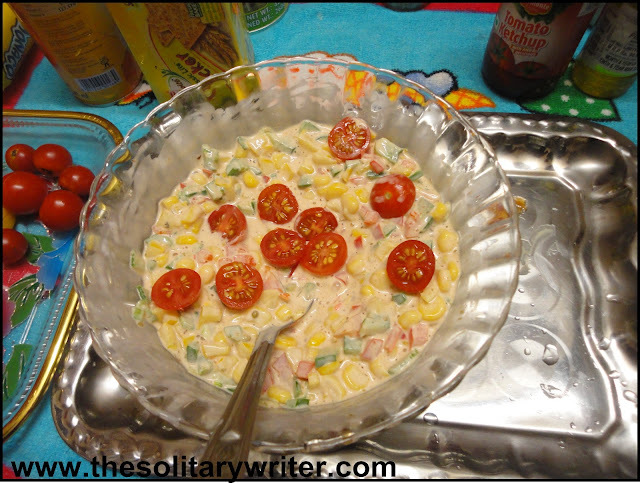 6.Add the Cherry Tomatoes to the mixture. 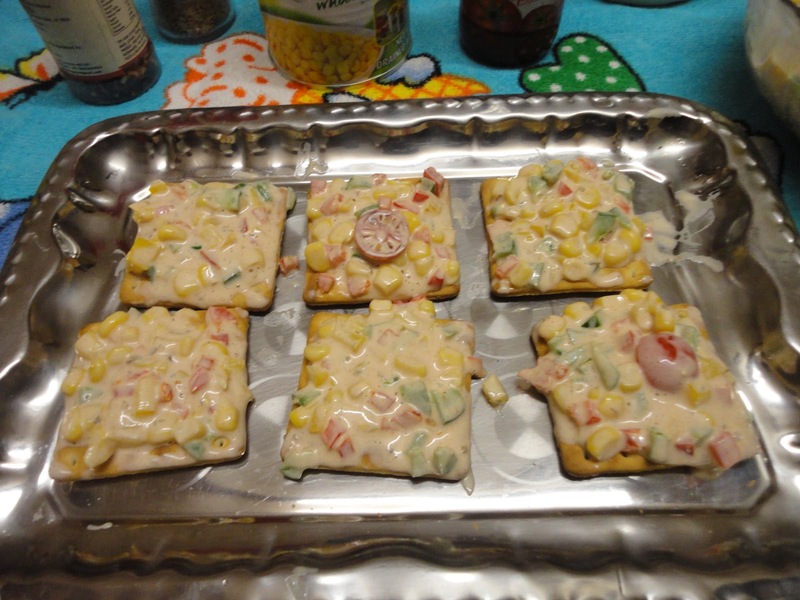 7.Now you have the bowl with the main mixture containing the corns and other vegetables.You have to decorate the biscuit with the stuffs and serve it for yourself. 8. Now add the vegetable stuffing's over the biscuit. 9. 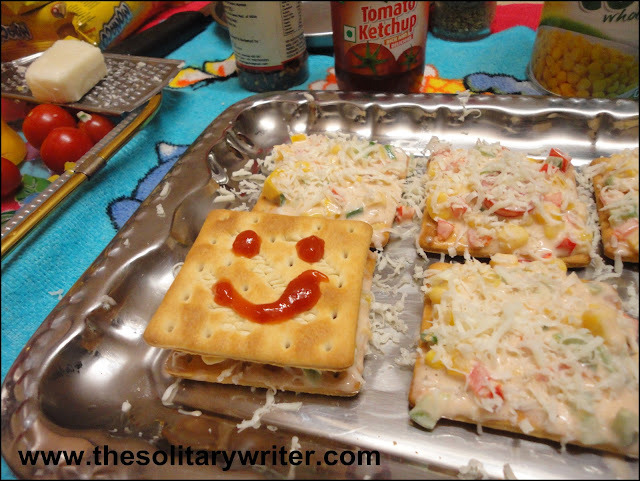 Add crated cheese over the biscuit toppings. 10. If you wish you can add another layer of biscuit over the topping . Its entirely your wish.I prefer it with a single biscuit. Ready to serve and Ready to Eat.Look at the boys!. Delightful! Models - My nephew Jerome and Neighbor Shashwat. 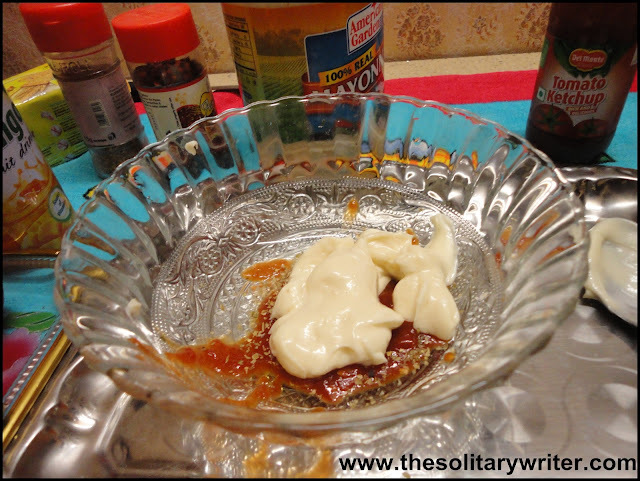 I have used capsicum in this recipe. Accordingly one could use carrots,peas,spinach etc. A good alternative for Mayonnaise could be Curd. In market we get sweet Curds..Just add 1 tbsp of sugar to it and serve. I recommend you guys to use Corn. Del Monte Corn serves my purpose in this recipe as it is already steamed so less time is required to prepare it. You should use salted biscuits for this especially Monaco or Britania's Nutrichoice(the one which I used for this) should do good. You could also experiment with the biscuits. Instead of using biscuit ,you might wish to use toasted bread. 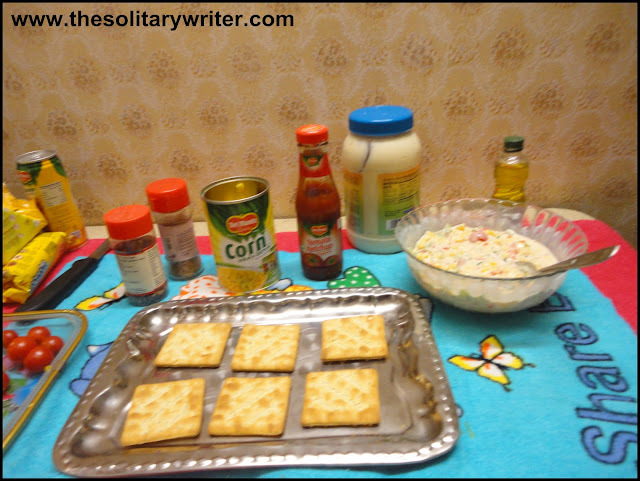 Del Monte Biscuit Topping is not time consuming. It hardly takes 10 minutes to prepare this recipe.It doesn't requires any cooking. Imagine some unavoidable circumstance where unexpected guests arrive at your place and you have nothing to serve them. Biscuit Toppings are useful at such time. You can serve as many as 5-10 people and trust me it is complete delight.It has high nutritional value as we are using corn,capsicums,cheese etc. Capsicum is rich in Vit A and Vit C which are essential for our skin and eyes.Corn is a good source of Carbohydrates ,Proteins and various Vitamins and hence its presence itself provides you with good nutritional value.Mayonnaise actually flavors this dish and adds additional value to it. It is a perfect blend and package of bliss. Rich in nutrition and it tastes perfect. A perfect recipe for snacks. Savor it with Tomato ketchup's or juice or Tea. I am no Chef or Cook but you too can cook when I can. I am planning to add a recipe tab to my blog . What say? . Would love to hear your valuable feedback on my recipe. I am all ears. 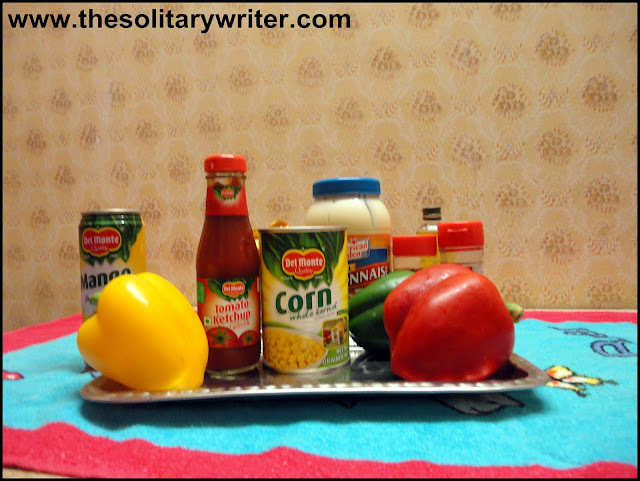 This post is written for the Indibloggers' The Del monte blogger recipe carnival.And you can check the Del monte facebook page for some delicious treats. Itni Qualities in an individual !! interesting recipe! good for kids...will make at home now. and nice clicks...adds colour to d post :D good luck! That looks delicious Ste:) Best of luck for the contest! Nice work..All the best for the contest..
Clinnovo is offering internships,Online courses,Post graduate diploma courses in Clinical Research,Clinical Data Management,SAS Imaging analysis. To me - From me! Unleash the zest of life - Visit Melbourne!